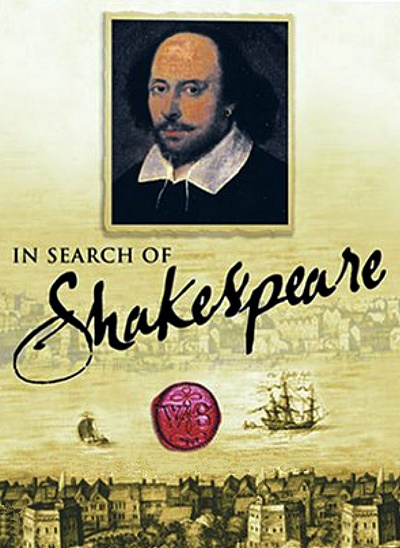 In Search of Shakespeare is a four part series exploring the life of the world's greatest and most famous writer. It takes the form of a detective story, a documentary search, and a journey not the style of historical TV shows that use re-enactments and tableaux. There is no one dressed up as Will Shakespeare or Queen Elizabeth! Instead the Royal Shakespeare Company gives a group of Britain's best young actors and actresses the chance to go on tje road and play in the places where his company played. Shot documentary style, on and off stage, the successors of Shakespeare's company give us a magical glimpse into how it was done playing scenes from all Shakespeare's great shows in Tudor Guildhalls, Royal Palaces like Hampton Court, and even in broad daylight. But the core of the series is a biography. The story of one Elizabethan, his life, family and friendships, his triumphs and disasters, his loves and his losses. Wooohooo. About time. Welcome back!